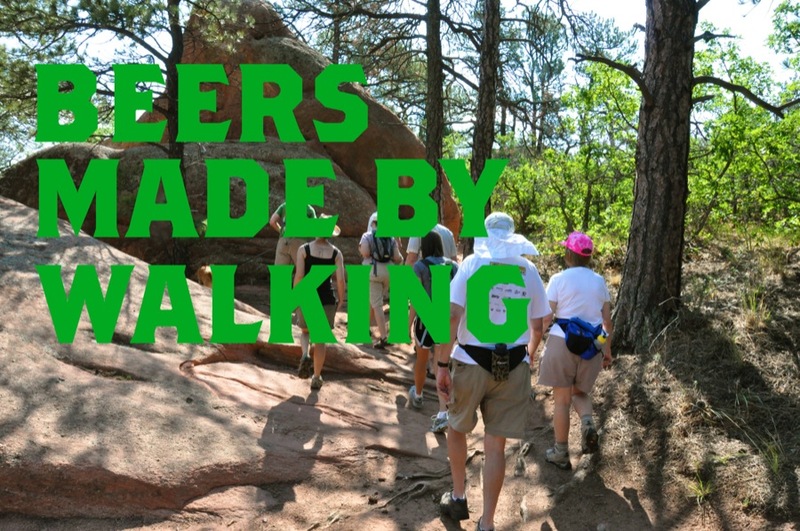 The second hike for Beers Made By Walking took place at Red Rock Open Space. If you’re unfamiliar with this event series, check it out here. The basic idea though, is that we go on a hike, identify edible plants and make beers with those plants. The beers are produced at Rocky Mountain Brewing and served at Brewer’s Republic. See the bottom of this post for full details. Anyway, the morning of the hike was a really warm morning and we were on the trail about three hours. 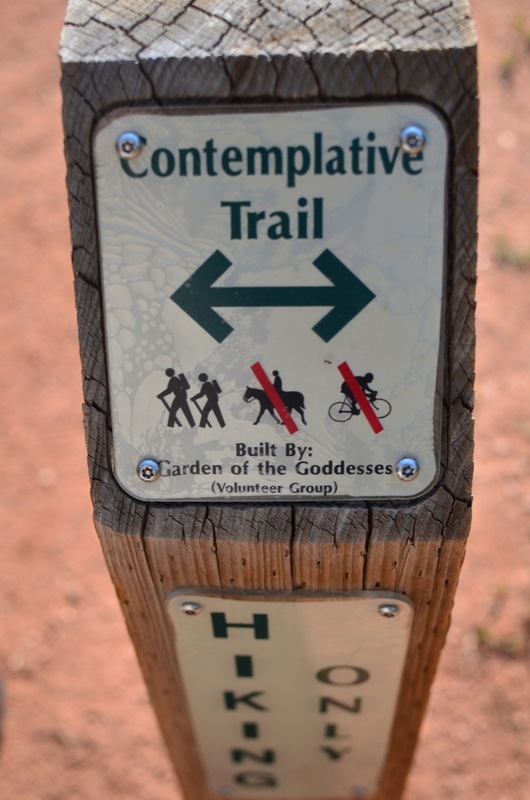 Unlike the most recent hikes, this one and the previous one at Garden of the Gods didn’t offer the bounty of edible plants that the region is known for at this time of year. Until recently, Colorado Springs hadn’t seen much rainfall this year so many of the plants have taken their time growing. Red Rocks is a really wonderful spot in between Colorado Springs and Manitou Springs. 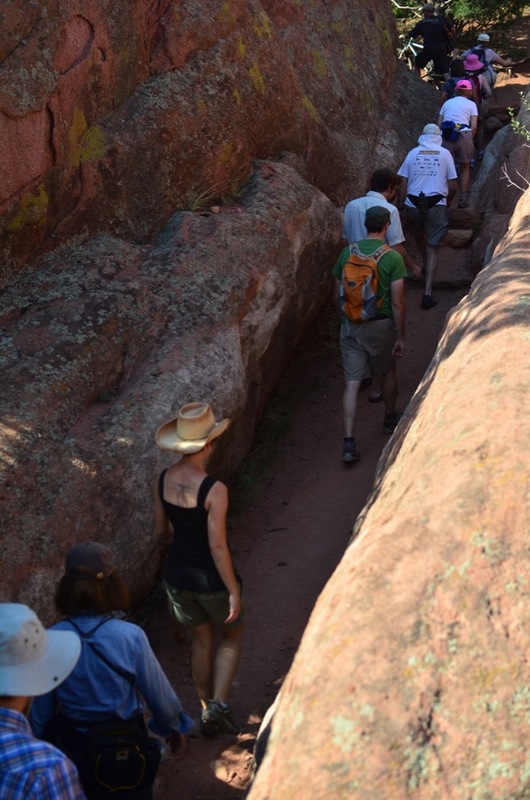 It’s an extension of the giant rock formations up the road at Garden of the Gods, but the trails are nowhere near as busy. This gave us the opportunity to take about 15 people during the peak of jogging hour. George is in the white hat here with his back to us. He’s showing us a juniper bush and talking to us about the difference between one seed and two seed juniper. We sampled a few of the cones (not berries) and moved on. Just so you know we weren’t foraging any of the ingredients from this hike. The homebrewers decide what ingredients they want to use and then we research and buy those ingredients either from someplace in town, online, or we forage them off someone’s private property with permission. 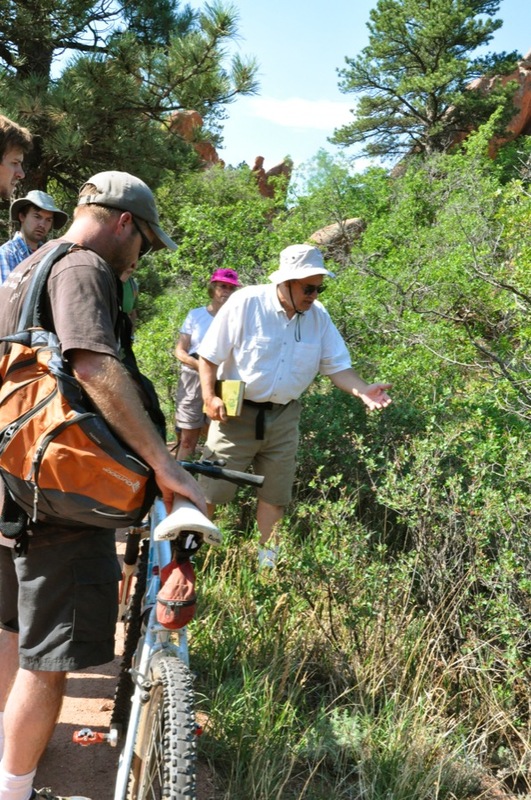 Here we are looking at 3 Leaf Sumac berries. The plant is related to both Poison Sumac and to Mango. The plant is often called Skunkbush because if you scrape the leaves, some people say it smells like a skunk. I’m not so sure about that, in fact I quite enjoyed the smell. The berries, when they turn red, have a slight citrus taste to them and have been used to create a lemony drink by crushing them in water. Here’s Isaac (with the beard) and Grant brewing up their beer at Rocky Mountain Brewing. You probably want to know what they’re making? Well Isaac brewed up a really hoppy Belgian IPA that will have chokecherry added during the secondary fermentation. Grant made a smoked nut brown beer that had piñon nuts added during the mash. If he can’t taste the nuts, he’ll probably add more during secondary. These beers, along with two others will be available at Brewer’s Republic for one night only on August 27th from 4-8pm. Entry fee is $5 and the beer will be free upon entry. There will be four new beers available in late October as well. This project’s major sponsor is the Gallery of Contemporary Art in Colorado Springs.